This book is so gripping, yet gentle and inspiring. Stories of village life, detailed insights with humour into people and events. I loved it. I just received a book I did not order. 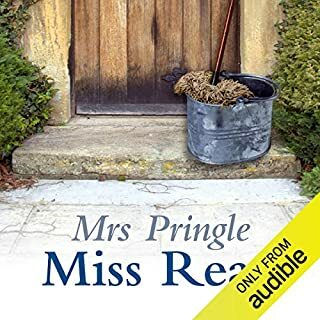 Mrs Pringle is my favourite character in this series. I think we have all met someone like her. A solid, old busybody who is full of opinions yet kind underneath it all. This book is about her foibles, her history and an insight to her character. Fantastic. MORE PLEASE. These two stories were such a delight. 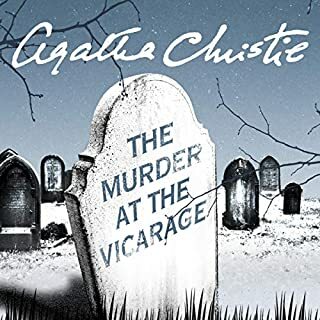 Set in the usual english village, probably in the late forties or early fifties, the characters are described so well that one feels as though the little episodes personally involve one. The narrator has such warmth in her voice. I loved them both. Delightful. 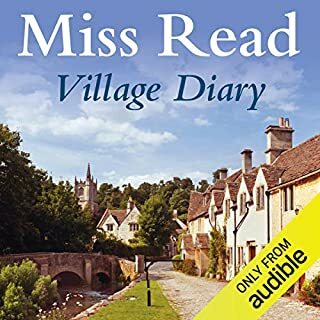 This narrator is perfect for the book, and the charming stories of an english country village and the inhabitants is written with humour and affection. I absolutely loved it. A weight-losing recipe sends a portly Victorian housemaid literally sky-high. 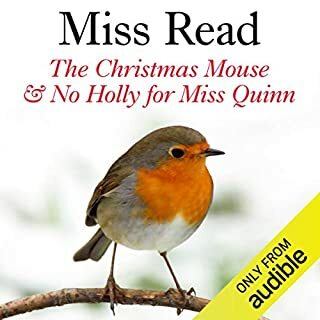 Mrs Next-Door, the queen of copycats, drives her patient neighbour mad with rage; the tragic tale of the ghost of Fairacre; the touch-and-go romance of Elsie Parker. 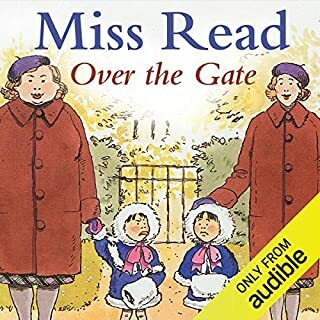 In Over the Gate, Miss Read, the village schoolmistress, continues to remember odd incidents and excellent stories and to retell them with characteristic grace and compassion. This charming and entertaining tale is so heartwarming. 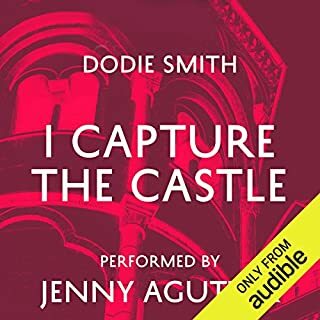 In the lovely tones of a clear English accent, the narrator takes us to the heart of English life in a village and all the characters are there with glimpses into their histories. Wonderful. I am buying the whole set of these books. ‘As I have been given a large and magnificent diary for Christmas... I intend to fill it in as long as my ardour lasts.’ Luckily, Miss Read’s ardour lasts all year, encompassing every aspect of Fairacre life. 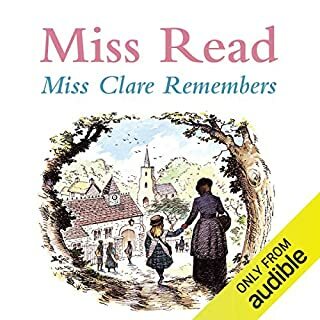 Whether embroiled unwillingly in her friend Amy’s marital hiccups, discussing the changing world with Miss Clare or the modern problems of good local education and rural impoverishment with the schools inspector and the doctor, she remains balanced, humorous and wise. Rex Fortescue, king of a financial empire, was sipping tea in his "counting house" when he suffered an agonising and sudden death. On later inspection, the pockets of the deceased were found to contain traces of cereals. Yet, it was the incident in the parlour which confirmed Jane Marple's suspicion that here she was looking at a case of crime by rhyme. 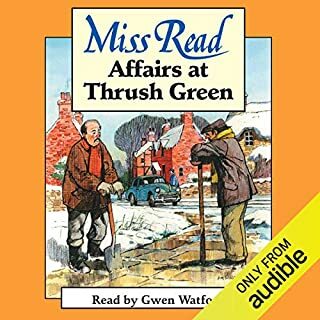 Yet again Joan Hickson's perfect clipped English diction makes for wonderful listening. 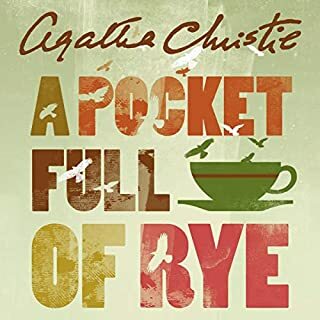 She is the perfect Agatha Christie narrator and tells this story beautifully. Very well written, keeps you guessing. Meriel Evans has worked in her father's estate agency ever since she left school, and she is happy there. But she knows that the time has come for her to follow her own path, so she finds work with the Ace Estate Agency. 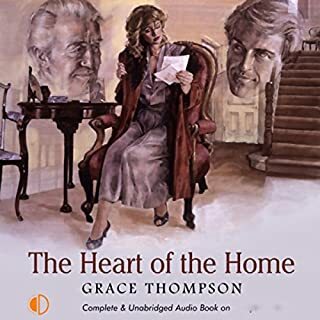 She soon realises that the owner, George Dexter, and her father dislike each other intensely, though neither will explain why. When she discovers a house called Badgers Brook, she is determined to stay there even after she is unfairly dismissed from her new job. Anne Cater is a master of audio. She brings this lovely story to life and does the voices so well. I loved this book, it was engrossing and absorbing.